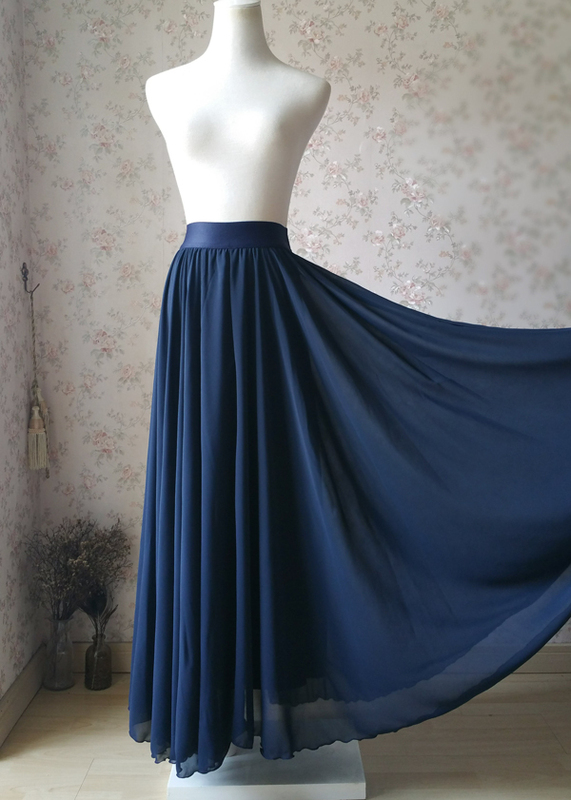 Handmade Navy MAXI SKIRT,Plus size Maxi Skirts, Womens Chiffon Skirt, Long Chiffon Skirt, Navy Bridesmaid Skirt, Navy Chiffon Skirt, Beach Wedding! 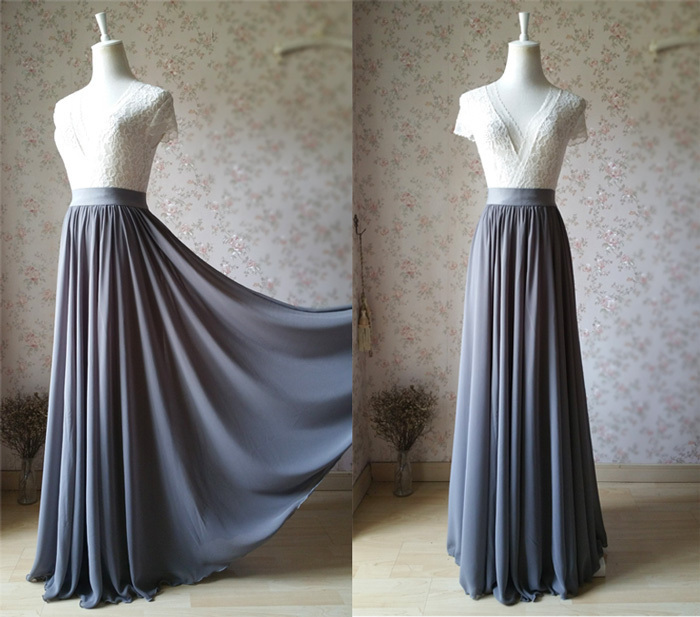 * This maxi dress is made of top quality silky chiffon fabric with chiffon lining, different from general chiffon fabric. * Elastic waist / full circle. 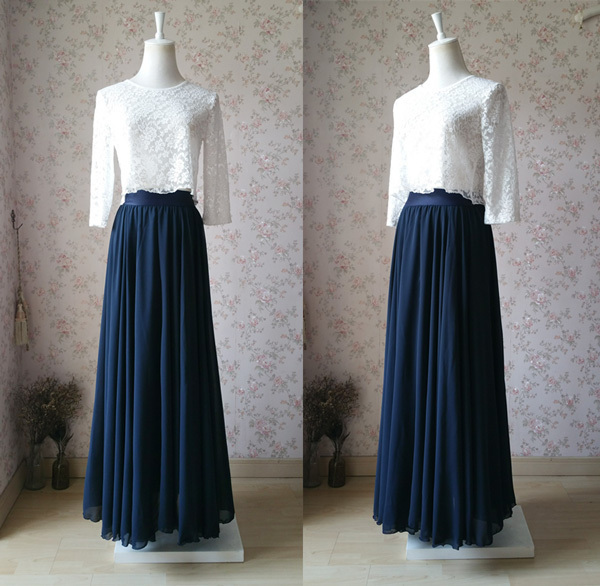 Actually the big sweep is around 276 in, which is much more cloth than usual skirt. It's flowing when you moves just like a fairy. * For color option from No. 01- No.11in picture No. 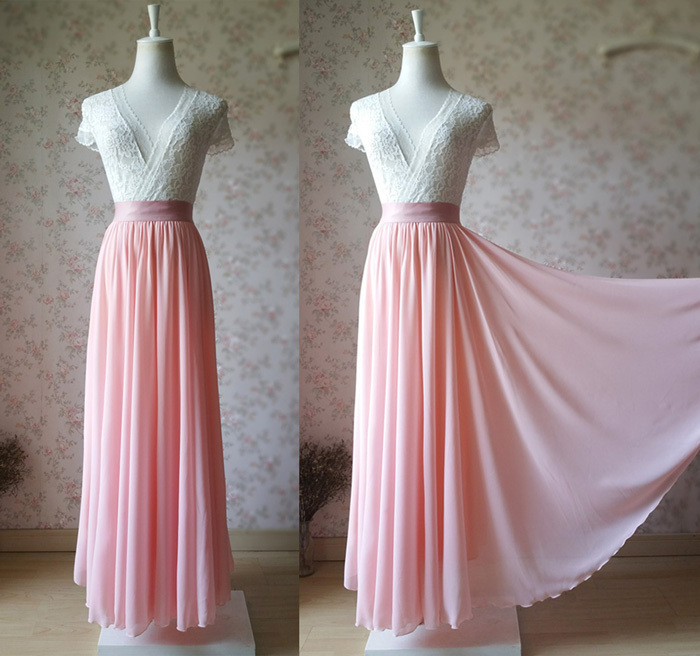 5, we would make the matching waist band. And for other colors as the color chart showed, we only can find the black or white waist band to match it. For your consideration. Any other problem, please let us know. * All the items are shipped out by EUB's air mail with a registered tracking number. It will take 7-15 to arrive. Occasionally it may take longer around 1 month, But in most of cases, it's prompt and safe. 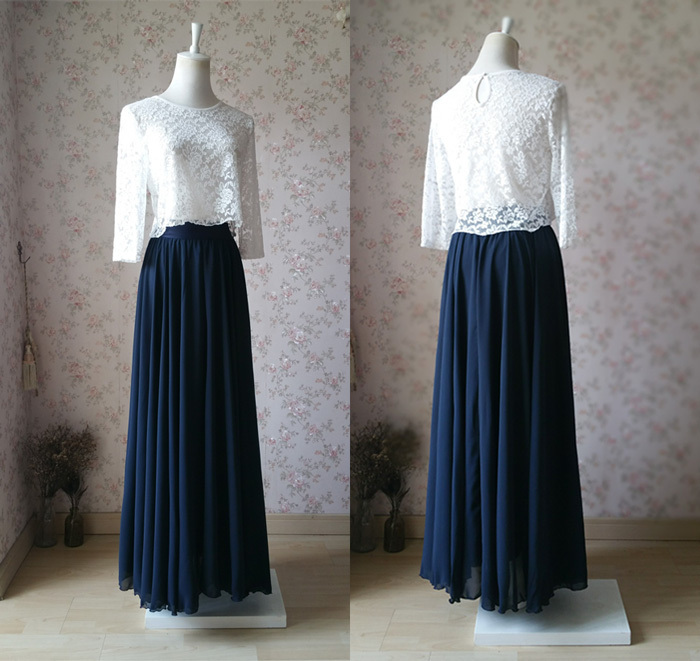 * As the request for special express, please also click below link to finish the payment of extra shipping service. And we will ship it out through UPS / DHL / FedEx, considering your destination and weight of parcel. Shipping time is around 4-10 days with in-depth item tracking number.